In of itself, technological development is benign. But behind every use is a human agent, and behind that agent is a motive, an inspiration, an agenda. Monitoring one’s employees has become the great mainstay of what companies claim is a productive exercise. The watched employee will have incentives to behave, to prosper, and to fulfil the ethos of the company. 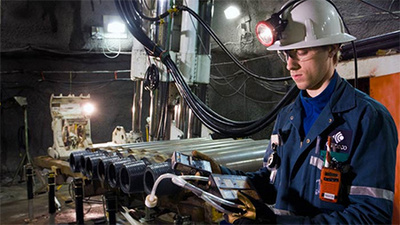 Management at the mining giant Rio Tinto have ambitions to take the technology of monitoring employees to another level – quite literally. Proud to have been at the forefront of various technical innovations in the employment field, the recently proposed surveillance program by the company’s management caused more than just a ruffling. Soon after Rio awarded a 10-year facilities management contract to Sodexo in March, an agreement covering operations and accommodation sites, Keith Weston, Sodexo’s vice president for mining global sales and business sales envisaged such mobile surveillance as a valuable measure providing “real time insights and metrics on equipment and people movement” (Australian Mining, Dec 12). Weston had one unmistakable goal: “to get to the point where we capture individual insights on where employees are spending their time and money and improve the quality of their lives.” This was being done for them. The mere fact that these ideas are doing the rounds in the corridors of corporate power should niggle privacy advocates. In Sodexo’s case, the panoptic interest becomes even more salient given that company’s interest in running prisons, or as it prefers to call it, offering “justice services”. The world of the miner is heavily monitored enough as it is. Ordinary, and unremarkable behaviour is already captured by stationary CCTV cameras that speckle mining sites. The tendency is towards a regime of total, not regulated, surveillance, which is where the mobile drones come in. This total encapsulation of the private world by the intrusive, remotely controlled camera, one that becomes even more acute in the mining work place, where employees often live onsite, is simply the precursor to broader surveillance across many work sites. The limits are literally endless, moving offsite, creeping into the private life of a worker even after they have actually left the place of employment. These mysterious incidents can feature everything from disciplinary matters to false claims of leave status, to the protection of trade secrets. The sense provided by Wise and Masak is that employees are not to be trusted, even as they supposedly benefit from these moves. Developments that replace the traditional foreman or overseer with digital or remote technologies thrill social theorists with the idea that we have become “post-human”, commodified subjects who have surrendered privacy to the broader effects of technology. This suggestion is grounded in ideas of physically embedding technology to monitor the subject, be it on the body itself, or in the environment as a whole. Such surveillance, as ever, has its defenders, though the brief for the defence is patchy at best. The argument, again, is that conditions are always improved by the all-seeing eye. “If the system is introduced in camps,” claimed a Pilbara FIFO worker, “it will improve safety.” Yet even in praising the idea of having “outside video surveillance” did not mean things were entirely transparent: he wished to only be known as “Dave”. Against weasel terms as “productivity” and “safety” can be pitted Hannah Arendt, whose writings on totalitarianism remain pertinent. Arendt’s political theory on that sacred space of human existence is worth noting: the private domain consists of “the sphere where the necessities of life, of individual survival as well as of continuity of the species [are] taken care of and guaranteed”. This continuity is being relentlessly challenged, be it by the State’s unsated desire for more information, or the corporate drive for productivity in the private sector. The Rio Tinto-Sodexo episode on drones provides a strong foretaste of things to come, even if they remain merely conceptual at this point.